Air Lift Manual Air Management is simple and accurate 4-way air spring control. Sometimes it is just good to get back to the basics, and your air suspension should be no different. The manual air management system from Air Lift Performance allows you to do just that! 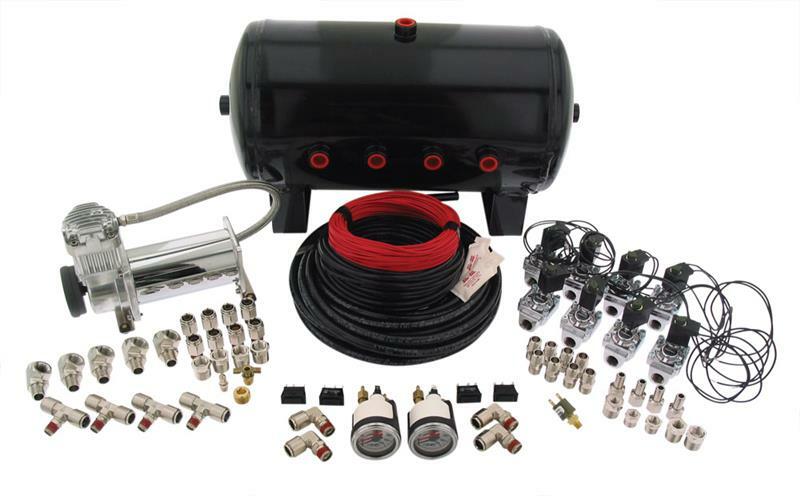 With this system you no longer need to worry about wiring and mounting electronic valves to your tank, freeing up some usable room in your vehicle. Height control is adjusted with the simple push of the 1/4″ paddle valves which can be custom mounted into your dash or mounted to the supplied stainless steel panel. With the actual valve inside of the vehicle, cold weather freeze ups are no longer an issue, so you can roll low with confidence year round. Manual air management is perfect for your old hot rod project or anybody building a car on a budget, you can rest assured you will not find a more complete manual air management system on the market. Looking for something more? See our advanced digital air management system: AutoPilot V2.